A proud Choose to Read Ohio author! Bonded By Battle is the first book to tell the whole 150-year story of how dogs and soldiers built a relationship on and off the battlefield, teaming up to become our military’s most advanced counter-terrorism weapon. I am the School Librarian at St.Brigid in Dublin, Ohio. In May of 2017 we had Nancy Roe Pimm come in to do an author visit with grades 5-8. It was just a fantastic day for both teachers and students! Mrs. Pimm started with a very engaging large group presentation which detailed her writing process, as well as her life story. The clear message that she had for these middle schoolers was to Follow Your Dreams. She carried this message throughout the day as she lunched with our Power of the Pen students, and signed copies of her books. Mrs.Pimm found a way to connect with each student she met, she has a true gift with this challenging middle school age! Grades 6-8 had the opportunity to do a non-fiction writing workshop with Mrs.Pimm. The quality of writing that she was able to pull out of these students was remarkable. At the end of each workshop students were able to volunteer to read their non-fiction piece to the group. Mrs.Pimm not only gave them immediate feedback, she provided them with an authentic audience. I would highly recommend Nancy Roe Pimm for an author visit! Nancy Roe Pimm provided an exciting large group session and then engaged our young writers in smaller writer workshops at our school in December of 17, 2017. Students were thrilled to share their personal research writing and excitement to write was driven because students were working with a real published author! She also had them excited about believing in their dreams! I am the Library Media Specialist at Willard Grizzell Middle School in Dublin, Ohio. This past week, we invited Nancy Roe Pimm to work with our students for two full days. She was absolutely wonderful. Her large group presentations were engaging, informative, and interesting (which is challenging when one is presenting to an entire grade level). She distributed race car parts and shared fascinating stories regarding how these drivers survive and prepared themselves on the track. 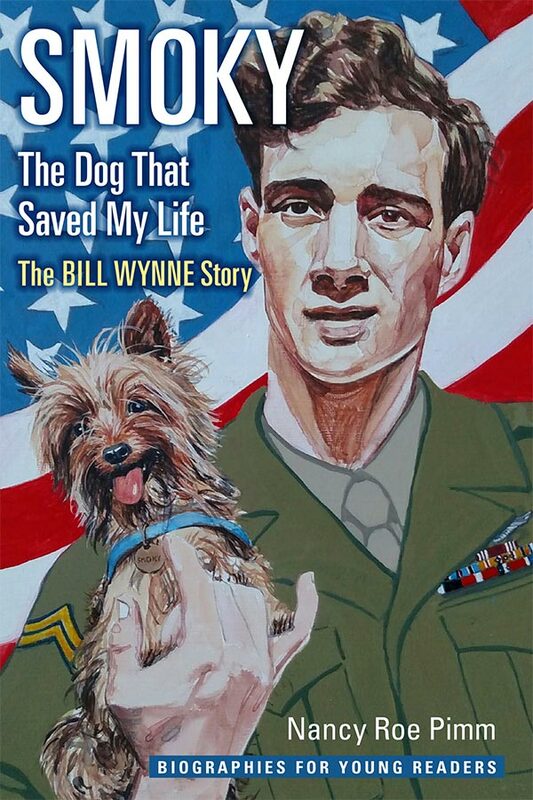 Nancy also discussed the relationships and history of military personnel and their dogs. One of the primary reasons we invited Nancy to our school was because she is an amazing researcher. The depth and breadth of the research in all of her books exemplify the quality of research we desire our students to replicate. Nancy then worked with our Pen Ohio writing students and helped them consider the writing process in great depth. They were excited to share their work and Mrs. Pimm took extra time to read their creative writing and write comments for them the following day. The second day, Mrs. Pimm delved into her nonfiction workshops. Our students were very receptive and delighted in sharing their written work. Mrs. Pimm helped them to recognize the importance of research and how to delight in the editing process. She provided specific tools to help them with their ideas and writing process. We had a snowstorm coming in this last day, and our students were required to leave school earlier than normal. Nancy insisted that she work with every group because she did not want to disappoint any of our students. Despite not having a break, she packed in the extra workshop and our students were thrilled. Nancy connected with our students on an individual level and helped them consider their writing as a professional writer might. We certainly will welcome Mrs. Pimm back to Grizzell and I would happily recommend her expertise and commitment to sharing her craft with your students! 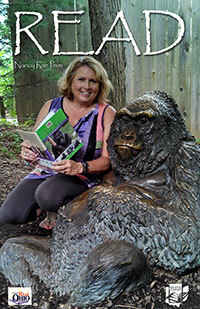 Colo’s Story: The Life of One Grand Gorilla has been selected as a Choose to Read Ohio (CTRO) title for 2013 and 2014 by the State Library of Ohio and the Ohioana Library Association. CTRO is designed to promote reading aross Ohio. Any library, community, class, family, book club, or other group may participate. 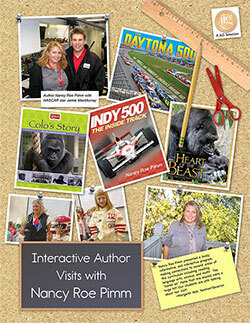 Reader’s toolkits provide support materials, including discussion questions, author biography, tie-in activities, and links to related websites.The selection of Colo’s Story was announced at the Ohioana Book Festival on May 12, 2012.